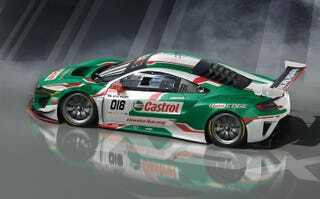 One Castrol-liveried Honda NSX GT3 is gonna race at Spa 24 this year. And this livery is nothing less than superb. Also, this is the first time in 25 years that a competition NSX will race at Spa. Here’s hoping this campaign isn’t just a one-off.